South Africa’s environment minister does not expect countries to agree on a legally binding climate deal in Durban at the end of the month but does expect the talks at least to help retain the Kyoto protocol framework and move discussions forward. South Africa will host international negotiators in the port city between November 28 and December 9 to work on a new global climate pact to succeed the Kyoto protocol, but expectations are low as rifts from previous summits continue. “The whole world is quite aware that it will not be possible to get a legally binding agreement out of Durban, because there hasn’t been much discussion or agreement on what form that agreement would take, and there isn’t any kind of draft right now,” Edna Molewa, minister for environment and water, told Reuters in an interview. But she said South Africa was confident a “political agreement” could be reached to preserve the architecture of Kyoto until a binding deal could emerge by 2015. The first commitment period of the 1997 Kyoto Protocol ends next year. The pact was intended to limit the adverse effects of climate change but only obliged developed countries to reduce greenhouse gas emissions. “It’s important to save this architecture, because it’s the only rule-based system we have,” Molewa said. Molewa was optimistic about the Green Climate Fund, which is meant to channel up to $100 billion a year by 2020 to help the world’s poorest countries limit greenhouse gas emissions and cope with the effects of rising sea levels and floods. “There is likelihood that it will be adopted,” she said, dismissing concerns the United States and Saudi Arabia, who raised objections on the fund’s design, might try to block it. “At the end both countries said they would let the report through. That’s very important for us, because they would not stand in the way of the report being tabled (put forward for discussion),” she said. 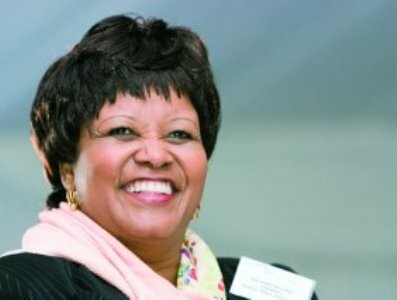 With most attention focused on reviving the global economy and handling the European sovereign debt crisis, few expect any breakthroughs in Durban, but Molewa said climate issues still needed attention. The Durban talks should not be a repeat of the last climate summit held on African soil in 2006 in Nairobi, where promises were made but not delivered on, Molewa said. South Africa, among the world’s top 20 polluters, has invested up to 30 billion rand a year on climate adaptation and mitigation, but more is needed to cut emissions by 34 percent over the next decade. The country said last month it would place limits for carbon emissions on top polluters and was mulling a carbon tax to reduce its carbon footprint and change behaviour.